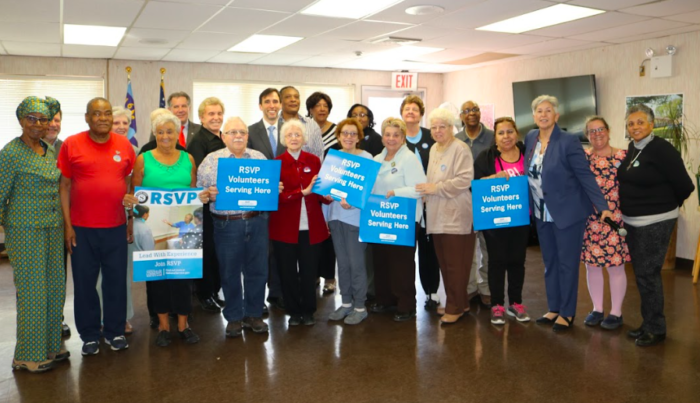 Mayor Noam Bramson with volunteers at the Doyle Senior Center. I was delighted to honor more than 100 outstanding volunteers this afternoon, as part of the Mayor’s Day of Recognition for National Service. 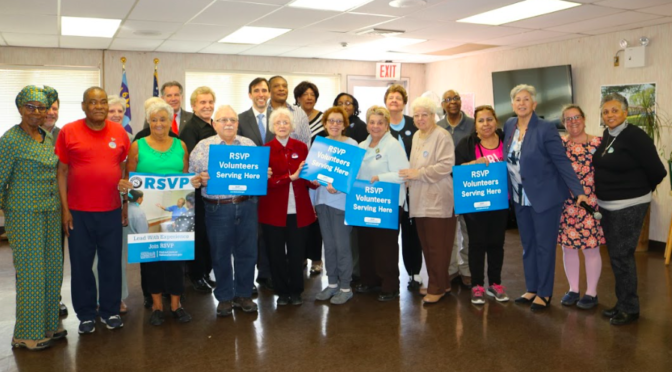 On hand were seniors who give their time and energy to the Foster Grandparent Program, the Hugh Doyle Senior Center, Meals on Wheels of New Rochelle, Montefiore New Rochelle’s Hospital Volunteer Program, and the Retired Seniors Volunteer Program (RSVP) of Volunteer New York! A heartfelt thank you to these terrific volunteers . . . and to the thousands of others who contribute to our community in ways big and small.